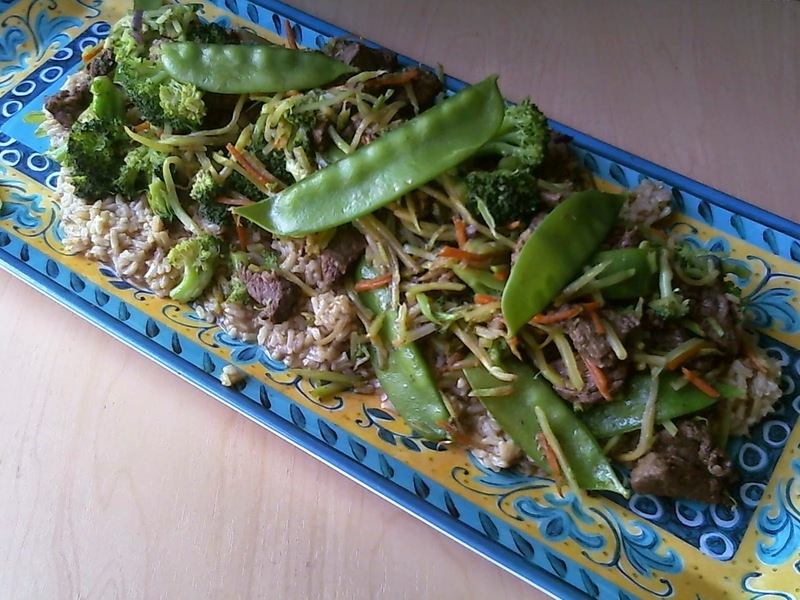 Homemaker Highlights: Recipe for homemade stir fry with whole grain rice. Recipe for homemade stir fry with whole grain rice. This recipe will serve 4 people and is a big favorite in my house! -I would not add any extra salt to the mixture. broth per cup of rice. I also add a hint of ginger to my rice. As rice is boiling I pop in the "Eat smart" (These can be found at Publix and are on sale for 3/5.00 this week!) stir fry veggie mix to steam in the bag in the microwave. Once all of the above is cooked to your liking, you can then plate it. I usually make a bed of rice first and then mix the veggies with beef/any excess liquid. If you have anyone in your home that's looking for a carb friendly stir fry...this would be an excellent choice for them!